MAD Family Fun: Do you have a Kindle? Free e-book! I personally do not have a Kindle. There is something about feeling a book in my hands that causes me to cringe at the thought of getting one. 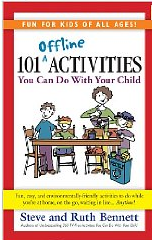 BUT, if you have one, check this out... You can get a FREE e-book for activities to do with your kids!